THE MARTINI CHRONICLES: What Should Professionals Learn From This Justine Sacco Debacle? 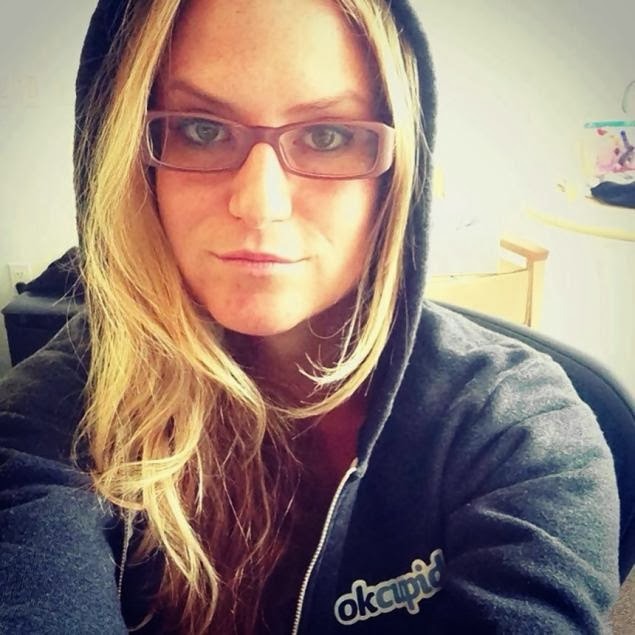 What Should Professionals Learn From This Justine Sacco Debacle? A few weeks ago I published a post here on the Chronicles entitled "5 Ways Social Media Can Tank Your Job Interview...Before It Even Happens." 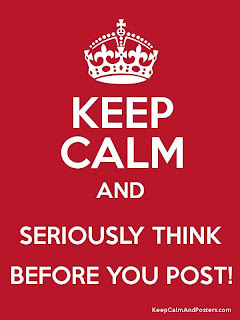 The general idea of that post was to caution current and aspiring professionals on the content they choose to post on various social media outlets. Why? Over the past several years, prospective employers have been actively using search engines to get a glimpse of their prospective employees before meeting them. It has, in many cases, become part of the interview process. Even more important, an individual's social media accounts have often resulted in the individual not being offered a position due to its content. The other side of this coin considers what happens once an individual has been hired. What are a professional's responsibilities when it comes to his or her social media content? I can sit here and bang out a list of do's and don'ts' when it comes to professionals updating their personal social media accounts, but it is so much more effective to give a real life example of what happens when professionals use social media irresponsibly. Due to the instantaneous nature of Twitter, Justine's offensive tweet was shared quickly among the social mediaverse. Folks were retweeting her tweet. Folks were favoriting her tweet. Folks took screenshots of her tweet and shared it on Twitter, Facebook, Instagram, and LinkedIN. And then the social mediaverse responded to her tweet. And then came the hashtags. 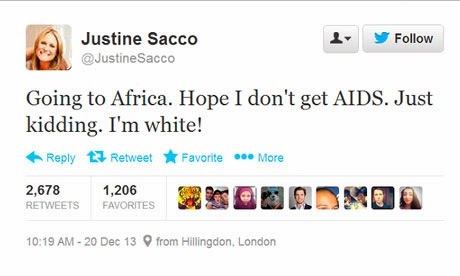 And then #Justine Sacco was a trending topic. Essentially, the social mediaverse was pissed! All of this while Justine was on a plane heading to South Africa...with no Internet access and no way of knowing that the social mediaverse was turning against her in rapid fashion. 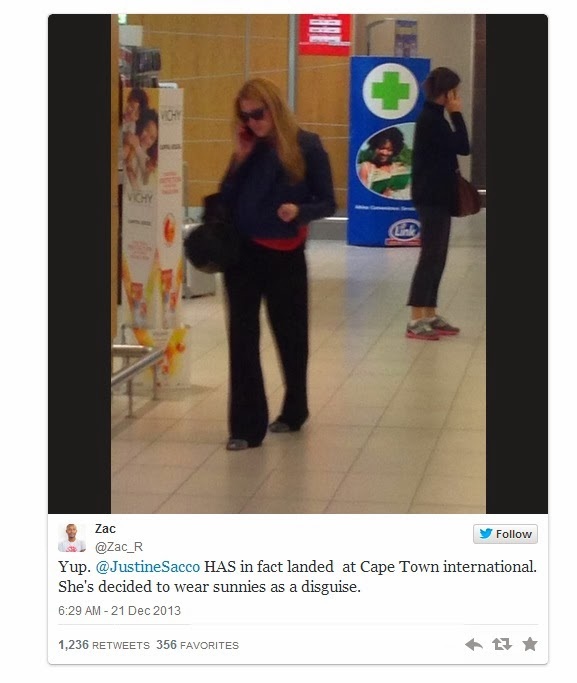 This prompted a new hashtag on Twitter: #HasJustineLandedYet...the social mediaverse has a sense of humor! "The offensive comment does not reflect the views and values of IAC. We take this issue very seriously, and we have parted ways with the employee in question." "Words cannot express how sorry I am, and how necessary it is for me to apologize to the people of South Africa, who I have offended due to a needless and careless tweet. There is an AIDS crisis taking place in this country, that we read about in America, but do not live with or face on a continuous basis. Unfortunately, it is terribly easy to be cavalier about an epidemic that one has never witnessed firsthand." To recap: PR executive sends offensive tweet. Offensive tweet circulates within a matter of minutes...maybe seconds. The social mediaverse is outraged, and voices its outrage on various social media outlets. Offensive tweet and ensuing backlash gets back to InterActive Corp. InterActive Corp. fires parts ways said PR executive. PR executive realizes that she screwed up and issues an apology. Started with a tweet, now we're here! (4) Forgets that once you put it out there it is hard, or impossible, to take it back. The truth is that Justine Sacco made a mistake that resulted in her losing her job. I am willing to go out on a limb and say that she thought she was being humorous. After all, she has posted some questionable content in the past without suffering any backlash. She was just having a good time...no biggie, right? Boy, was she wrong! In posting a tasteless "joke," Justine left her employer no other choice but to distance itself as far away from her and the "joke" as possible. Justine failed to consider whether she was worth it to her employer to ride out the storm...she was not. Letting Justine "joke" slide was not in the best interest of InterActive Corp...or its bottom line. What's more confusing to me is that Justine, a public relations executive, grossly miscalculated not only the ignorance of her words, but also the effect her words may would have on her career. How will she explain this away at her next job interview? Thanks to the social mediaverse, Justine's prospective employer will learn all about her misstep after doing a simple Google search. Which leads me to my point. Although social media has become the hottest way of quickly communicating with the most amount of people, we as professionals have to be cognizant of how we are using these forums. Not only do we have to figure out how to frame our thoughts (sometimes in 140 characters or less), but we have to consider how those thoughts, when put into words and pictures, will affect our careers. We also have to consider how we retweet, repost, or share content, especially content which can be deemed remotely offensive. In some cases, we have to consider our company's social media policy if there is one in place. And even if your account is "private," there is still opportunity for your content to be displayed to the public. What you may consider a harmless joke may be considered offensive to your employer....or your future employer. While social media can be fun and entertaining, professionals must always remember that we have a responsibility to be...responsible. We do not want to leave our current employer with no other choice than to distance itself from us. Further, we do not want to give our prospective employer a reason not to hire us. All of that being said, don't be Saccoed! 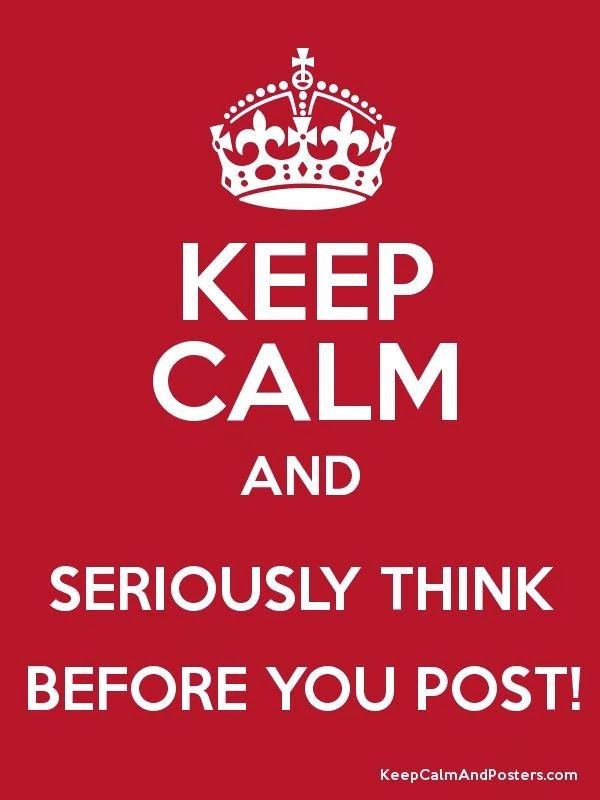 Be cautious when using social media, and think before you post. Your social media content should now be considered a part of your resume and a part of any job application you submit. Also remember that deleting questionable content may not be enough. My advice in 17 characters: socialize wisely! SHE DESERVED TO BE FIRED. SHE NEEDS TO BE SMACKED A COUPLE OF TIMES TOO. Great post. She was really dumb to make that comment. But it makes me think of how many dumb things I have said and am happy I did not tweet them.